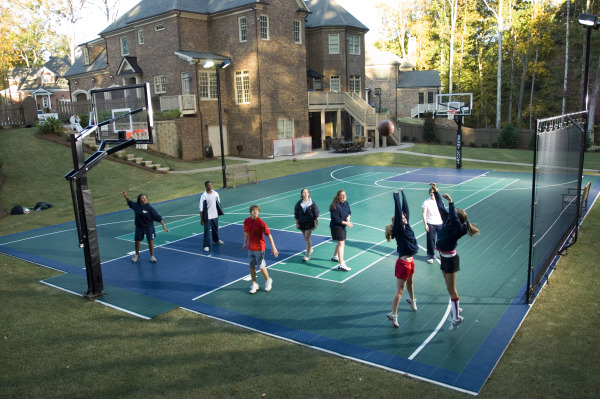 Sport Court® basketball courts are both versatile and stylish coming in a variety of colors and custom designs. Sport Court can meet your needs with either a full court or a half court to bring out the basketball star in your family. 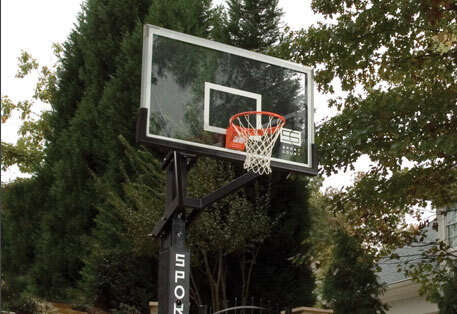 Sport Court offers many different types of quality backyard basketball courts that allow for versatility to meet your unique needs without compromising on quality or performance. Limited space is not a problem as we offer half courts in addition to full courts to practice free throws with a full three point line. We offer the ability to fully customize your court with the many different surfaces or slam systems, and many color options are available. Get the quality of performance you desire with the name you trust and give your family the home court advantage!